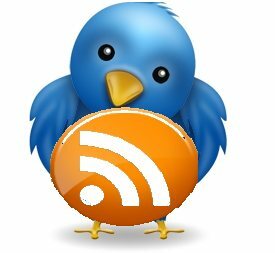 Here are 5 Free RSS to Twitter services that let you publish RSS feed to Twitter. These RSS to Twitter services keep checking your RSS feed regularly, and post tweets when new items are available in your RSS feeds. Allt these services are online, and you do not need to download or install anything. Some of these services have premium features too, but RSS to Twitter feature is completely free. We discovered Dlvr.It quite recently, and absolutely love it. This is the best free RSS to Twitter service. It lets you create automatic rules around which posts you want to send to Twitter, add automatic hashtags to tweets based on category and author of posts, and much more. You can even use it to automatically post RSS to Facebook and Myspace. Dlvr.It is completely free, and you can configure multiple RSS feeds with it. This comes especially handy if you manage multiple websites. This will let you choose which RSS feed should go to which Twitter account. Check out Dlvr.it free here. TwitterFeed used to be my first choice as RSS to Twitter app, until I discovered Dlvr.It. In fact, I am using TwitterFeed to publish RSS feed of this blog to my Twitter account. It is very easy to configure, and is totally free. As is with Dlvr.it, it also lets you add hashtags to your tweets (I add #freeware). It also lets you add multiple RSS feeds, and post them to one or more Twitter accounts. So, if you do not like Dlvr.It for some reason, TwitterFeed is a good second choice to publish RSS feed to Twitter. Also check out free WordPress hosting, and free WordPress blog on Amazon EC2. Ping.Fm is another service that lets you automatically post RSS feeds to Twitter. It actually supports posting RSS feed to many social networks, like, Twitter, Facebook, LinkedIn, Tumblr, Identi.ca, and more. It allows you to publish only one RSS feed. However, there is a way to publish multiple RSS feeds too. Just add all the RSS feeds to Google reader, and provide username of your Google Reader to Ping.Fm. It will then pull items from all the feeds, and push them to your social networks. I have listed Ping.Fm at #3 as this feature was disabled for quite some time, and was enabled back again recently. So, I am not sure if this will remain on permanently. Check out Ping.Fm. HootSuite is one of the best free Twitter client. It is a web based Twitter client that provides lot of features to effectively manage your Twitter account. An interesting feature of HootSuite is that it lets you post RSS feeds to Twitter. Many people think that RSS to Twitter feature is available in paid version only, but actually free version lets you configure two RSS feeds that can be posted to your Twitter account. This one might come as a surprise. Most of the bloggers burn their RSS feeds via Feedburner. Now, Feedburner has added a feature to automatically publish your RSS feed to Twitter as well. To post RSS to Twitter using Feedburner, just go to Feedburner. Then click on the feed that you want to post to Twitter. Then click on “Publicize” tab. In the left side, you will see option for “Socialize”. Click on that. Here you can configure the Twitter account to which you want to post your feed. Feedburner will automatically shorten URLs using goo.gl URL shortening service, and lets you add hashtags to your tweets. It also lets you setup keyword filters, and post only those feed items that have those keywords (or, post only those that don’t have those keywords). All these applications let you easily post RSS feed to Twitter. These come very handy for bloggers. If there is some RSS to Twitter service that we forgot to cover, do mention that in comments.